For adults, the biggest single reason (but not the only one!) for going Paleo is probably weight loss. But among adults trying a Paleo diet for their kids, autism spectrum disorders (ASDs) are one of the most common concerns. Many parents initially start with a gluten-free diet (or gluten-free and casein-free) and then discover Paleo from there. Others jump right in. But either way, a lot of people do report dramatic improvements in their children’s symptoms when they try some variety of Paleo, or even a very loosely whole-foods, gluten-free type of diet. This is not an article explaining the “causes of autism.” Autism spectrum disorders are very complicated and cannot be pinned down to one sound bite. It’s also not a replacement for an actual doctor, therapist, or counselor, and was never intended to be. It’s simply a post presenting some interesting information about one very specific factor that may contribute to symptoms of ASDs in complicated ways that nobody completely understands yet. With that crystal clear, though, the interaction of diet and ASD symptoms is absolutely fascinating and potentially very significant, although a lot of the research is still in the rodent stage. So in Part 1 we’ll look at just the gut (just like almost every other chronic health condition around, ASDs are strongly connected with gut health), and Part 2 will cover everything else (nutrient deficiencies caused by food selectivity, Omega-3 fats, cholesterol…). A huge number of children with ASDs have some kind of GI problems, ranging from visible (diarrhea, vomiting) to invisible (pain, nutrient malabsorption, acid reflux). And even more interestingly, the researchers in this study found a strong correlation between severity of GI symptoms and severity of ASD symptoms. Gut symptoms typically indicate some kind of underlying problem – the diarrhea and bloating don’t just appear on their own. So here’s a look at the usual two suspects: gut flora dysbiosis and intestinal permeability (“leaky gut”). Autistic children have more of some species, e.g. desulfovibrio species, than neurotypical children with the same kinds of GI problems. In fact, there are a couple species that seem to be found almost exclusively in autism. Autistic children have fewer of other species, e.g. bifidobacteria. The ratio of Bacteroidetes to Firmicutes is also lower in autistic children (if those names look familiar, it’s probably because you recognize them from obesity research: both of those species are also very important in research on gut flora and weight). It’s not clear exactly how these changes in gut flora might influence ASD symptoms, but we know that the gut and the brain are closely connected, the evidence (for example) that treatment with antibiotics can modulate ASD symptoms suggests that they can. Bearing in mind that we still have almost no idea what a “healthy” microbiome even looks like, the potential for diet to alter the gut flora could possibly be one reason why it affects ASD symptoms. There’s some evidence that children with ASDs have a higher rate of leaky gut than the rest of the population, which could be another cause of their symptoms. For example, in this study, the researchers measured intestinal permeability in patients with autism and their relatives, and compared it to healthy unrelated control subjects. 37% of patients with ASDs had unusual intestinal permeability, compared to 21% of relatives and just 5% of controls. The authors of the study also discuss some of the potential ways that intestinal permeability might contribute to ASD symptoms, from immune dysfunction to gut-brain relationships. On the other hand, other studies have found no relationship – hopefully the increased interest in gut health in the past few years will eventually lead to more studies with bigger sample sizes so we can get a better idea. Does Improving Gut Health Improve ASD Symptoms? So if underlying gut dysfunction is common in ASDs, can treating gut problems help improve the symptoms? Unfortunately, it’s not clear whether treating gut pathology will actually improve symptoms of ASDs. The existing studies are hopeful and interesting, but not conclusive. 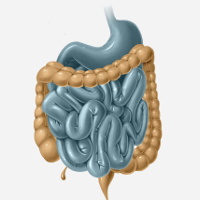 The first thing that comes to mind for gut dysbiosis is typically probiotics. These researchers gave children with autism a probiotic supplement containing lactobacillus, bifidumbacteria, and streptococcus strains. The supplements helped normalize their gut flora and inflammation levels, but the researchers didn’t remark on whether this had any effect on their behavior. It’s just not clear that probiotic therapy alters ASD symptoms in humans the same way it does in animals. Another promising theory, which is only a theory, is that improvement in gut dysbiosis might help improve food selection, which could improve overall health by addressing nutrient deficiencies. Children with autism often have an extremely limited selection of foods that they’re willing to eat. The typical pattern is a preference for carby junk food and a strong distaste for fruit, vegetables, and protein. It’s possible that this is actually a symptom of gut dysbiosis: the children have trouble digesting roughage, and it causes them painful gas and bloating, so they refuse fiber-rich plant foods to avoid the pain. Treating gut dysbiosis might be one way to address this, and improve health by generally improving the quality of the child’s diet. Interestingly enough, antibiotics do frequently cause a temporary improvement in ASD symptoms, which might point to some kind of bacterial overgrowth that would best be treated with a combination of antibiotic and probiotic therapies. Gut flora are complicated! From a Paleo perspective, leaky gut talk immediately raises the question of dietary gut irritants. And luckily enough, there’s actually some research on gluten-free, casein-free diets in ASDs since they’re a very popular home therapy. 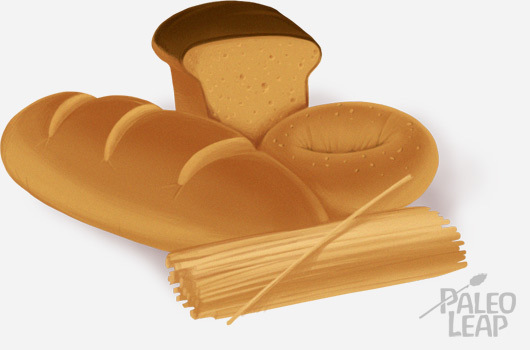 This study used a gluten-free, casein-free diet and found no significant differences in behavior, but the problem with this is that even the researchers noted that the children were not entirely gluten-free during the gluten-free period: several parents and teachers reported them sneaking food from other children. Also, in order to keep participants blinded to which diet they were actually on, the researchers replaced gluten-containing junk with gluten-free junk – not exactly a gut-health ideal. In other studies, like this one, patients with autism who were on a gluten-free casein-free diet had less gut permeability – but here, the patients knew they were on the diet so it’s impossible to rule out the placebo effect. In other words: it’s complicated and designing good studies is very hard. Removing gut irritants is unlikely to hurt anyone, but whether it improves ASD symptoms in particular is hard to measure. One way that diet could plausibly effect symptoms of autism spectrum disorders is by improving gut health. It’s very clear that children with ASDs often have some kind of gut pathology, but it’s much less clear whether improving gut health will improve symptoms, and if so, what kinds of dietary strategies are most effective. On the other hand, it’s probably safe to say that taking simple steps to improve gut health is likely to be helpful for everyone, whether it has any benefits specifically for ASD symptoms or not. Even if it “only” improves nutrient absorption and relieves GI discomfort without affecting behavior at all, that’s still nothing to pass up. Wondering about other ways that diet might affect ASDs? Check out Part 2 of this series, covering everything but the gut.